Regulations are in place to ensure consumers understand they are interacting with marketing when they look at advertisements – and consumers expect that marketing is clear, true and not deceptive in any way, shape or form. Consumers also need to understand what the advertisement is telling them about your mortgage loans in regards to availability, rates, etc. UDAAP (Unfair, Deceptive, or Abusive Acts or Practices) or UDAP (Unfair or Deceptive Acts or Practices): Most prosecutions for lender advertising fall under UDAAP/UDAP, which generally regulates whether the advertisement is clear, concise, and can be read and understood by the least sophisticated of the recipients of the marketing material. Truth in Lending: Truth in Lending laws and regulations address required disclosures in advertisements for certain types of credit, among other things. There are “trigger terms,” such as “monthly payments” and “interest rates” that require additional disclosures. Required disclosures need to be on all marketing materials, including but not limited to digital, social media and print media. When loan officers (LOs) and branch managers participate in “rogue marketing” where they are sending out marketing materials without compliance approval, we tend to see violations of UDAAP/UDAP and Truth in Lending laws. In cases of “rogue marketing,” lenders must train, educate and discipline (if necessary) their LOs and branch managers because the potential liability is “spectacular,” according to Mitch Kider, Managing Partner at Weiner, Brodsky, Kider PC. According to Kider, it is critical to have a centralized compliance review of marketing materials to ensure the requirements of UDAAP/UDAP and Truth in Lending laws are met. Your compliance department needs to be able to review and approve all marketing materials before anything goes out the door. The CFPB can enforce UDAAP/UDAP, however they are limited in scope – when they initiate an investigation, it can take two to three years before we see the results of the investigation and enforcement action. One example is the current Zillow investigation, which began in 2015. How many lenders and Realtors have been advertising on Zillow since 2015, knew nothing about the CFPB investigation and thought Zillow was fine for their marketing efforts? The Federal Trade Commission has always had a UDAAP/UDAP law and they prosecute as well. In addition, virtually every state has their own form of a UDAAP/UDAP law. Especially in states controlled by the Democratic Party, state banking departments and State Attorneys General are becoming much more vigilant in examining lender marketing materials. Most states are fairly aggressive when it comes to consumer protection. Fair Lending: The Equal Credit Opportunity Act (ECOA) and the Fair Housing Act (FHA) are in place to protect consumers from unfair or discriminatory lending practices. Co-Marketing and RESPA: Especially when looking at marketing and advertising, regulators want to know why an LO is co-marketing with someone who is referring business to them. 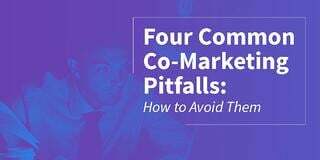 Co-marketing is absolutely legal and permissible if you’re doing it correctly. UDAAP/UDAP and unfair or deceptive trade practice claims: Regulators are looking at this more so than ever before. There are some lenders that may be hoping regulations are going away and want a competitive advantage, so Kider sees some things happening that are problematic under the law. Regulators are potentially worried about the perception that regulation enforcement is decreasing and so they are cracking down. The reality is that most State Attorneys General are elected officials (only some are appointed by the Governor), and going after a mortgage banker or bank makes for great headlines and campaign fodder. Lenders may feel they spend significant time and money abiding by burdensome regulations. But it is important to keep in mind that these regulations are meant to protect consumers – individuals and families working hard to save money and buy their dream home. As your organization works to provide the best possible experience for borrowers and homebuyers, this also means strict adherence to regulator policies meant to protect these individuals. Related: "Best Practices for Managing Marking Compliance at the Enterprise Level"
Understanding the current regulatory environment, the purpose of various laws and key areas of focus by regulators will help your organization engage with consumers and co-market with your partners in compliant ways while still growing your brand at the community level.